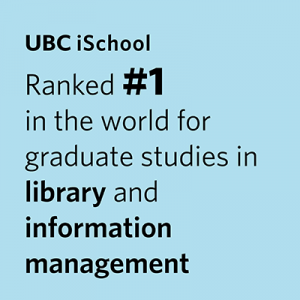 GOAL: In accordance with the mission of the University of British Columbia, and with the mission of the School of Library, Archival and Information Studies, this course is designed to prepare students to lead organizations in the management of records in all formats produced and received during the course of the organization’s operations and functions. More specifically, students will be able to identify an organization’s mandate, and to design, implement and evaluate an efficient and effective records and information management program which provides intellectual control over the records and information within the organization. As the volume and formats of office records grow in organizations, librarians are frequently required to extend their programs to include records and information management. Knowledge of such systems is a job requirement for special librarians.